What happened when you not on time with lottery jackpot? A player from Liverpool had a winning Millionair raffle ticket from the Lotto draw which was held on November 22nd but failed to claim it within the 180-day limit. He has lost his lottery jackpot prize because he was to late! Camelot UK Lotteries Limited, which is the operator of the national lottery, announced that the £1m Lotto raffle prize from the Lotto draw on November 22 last year has remained unclaimed for more than 180 days. The unlucky man/woman bought his/her ticket in Liverpool and the deadline to claim their prize passed at midnight May 22nd. That means the money, plus the interest it earned, has now gone to help National Lottery-funded charities and good causes. A spokesman said: “Unfortunately, I can confirm that the ticket holder did not come forward within the deadline to claim their prize and has now sadly missed out on this substantial amount of money. “To avoid this unfortunate situation happening again, I would urge all national lottery players to check their tickets on a regular basis. “We tried very hard to find the ticket holder and it’s a real shame that they have missed out, but there is still one winner and that will be the nation. “This money, and all the interest earned over the 180 days, will now go to benefit projects all over the UK funded by the national lottery.” Anyone else who believes he or she has the winning ticket for any of the previous National Lottery draws within the 180-day deadline should call 0845 910 0000 to make sure his faith will not be as bad as this particular person. Buy your official tickets online! A winning ticket to the estimated $435.3 million Powerball jackpot was sold in Indiana. 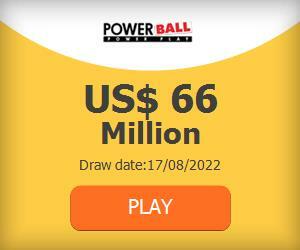 The ticket matched all five numbers plus the Powerball in the Feb. 22 drawing (10-13-28-52-61 PB: 2). According to the Hoosier Lottery, the winning ticket was purchased at the Super Test at 1609 Sagamore Parkway South in Lafayette. The $435.3 million estimated jackpot is the 7th largest in Powerball history. Jackpotcasino.today is an informational and entertainment website. We are not responsible for the policies of the websites to which we refer. Please check the laws in your country to make sure that gambling is legal.